Lee and his wife Mary are longtime advocates of several organizations. VEO’s mission is to enhance the quality of life for homeless veterans on their road to self-sustainability. They provide a caring, supportive environment that allows veterans to rebuild their lives by returning the dignity lost to the circumstances that left them homeless. Please learn more about them – thank you! Because of the gripping stories, business experiences, and training methods that we use, we have high retention rates in training and development. 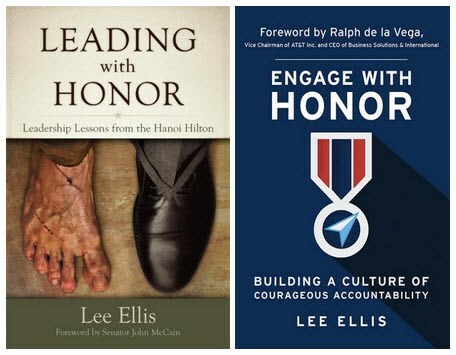 Check out the Online Store for resources to help with personal and professional development for you and your team. 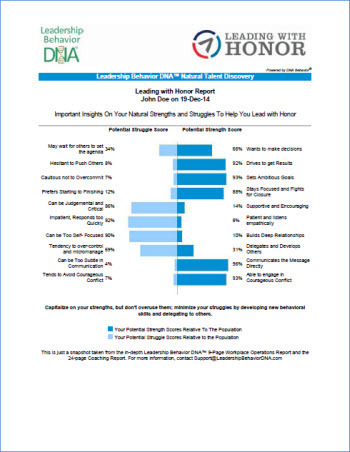 The Leading with Honor Discovery Report is a FREE, one-page report that gives you a broad snapshot about your individual leadership style on getting results, developing relationships, and your communication style as a leader. Take 10 minutes to learn more about yourself.